Qualmark has been widely regarded as the nationwide tourism standards rating system. Their job is to provide New Zealand accommodation and activity operators’ independent audits, awarding tourism operators with one or more badges and stars that make their quality and type of product known. For travellers and agents, Qualmark highlights that the tourism operator has been reviewed based on robust criteria covering 400 points, and know what to expect from the assessed tourism product. Ten years on since Qualmark launched, we learn that a new rating system is to be launched in New Zealand. So if we’re booking our tourism experience based “on the stars” in which stars do we trust? 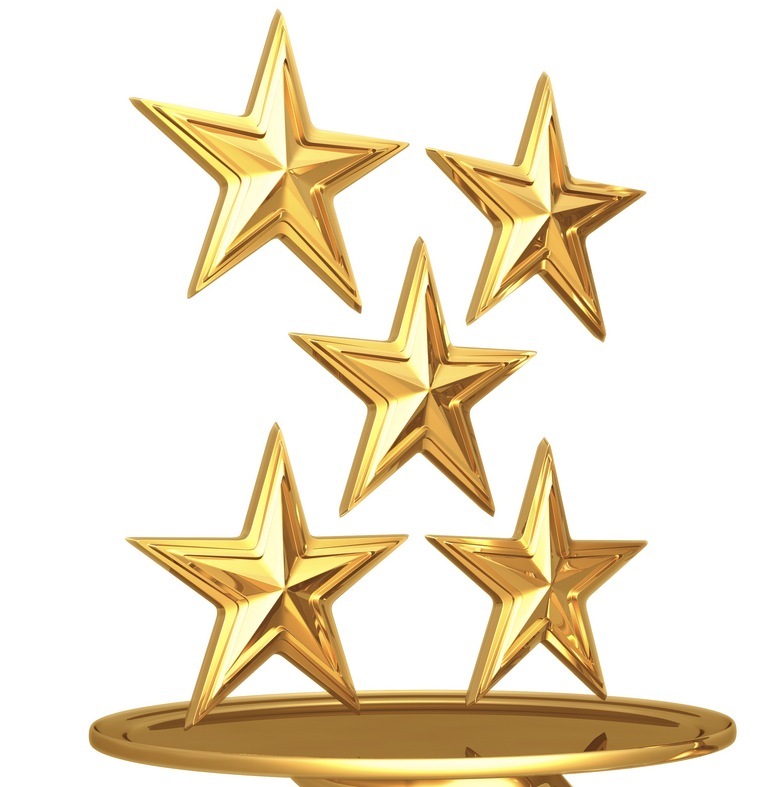 Is there room for two rating systems, or will their mutual existence dilute the meaning and strength of both or will the best star rating system survive? The new rating system has provided plenty of lively debates over the past couple of weeks throughout the New Zealand tourism industry! With a new contender in the ring, tourism businesses will soon have a choice about which rating system they use, and over time will discover which (if any) is more meaningful for travellers and agents. Has Qualmark offered tourism operators the independent stamp of approval they need and thus added value to their business? Has Qualmark offered travellers and agents confidence to book based on the star rating? Does the international traveller know and recognise the Qualmark system? Is a new autonomous quality assurance program needed for New Zealand? Does Social Media and Trip Advisor take care of quality assurance already? With TRENZ just a month away, the launch of a new rating system is very well timed and sure to generate plenty more debate. But do we need another? In fact – do we even need a rating system, at all? I question whether we really need a rating system at all. Essentially ratings are supposed to provide a guide to travellers on quality. However in this day and age travellers can use online tools to view full information, images, videos, social media interaction and importantly online reviews from other travellers providing them with more than enough information to make a decision on what to book. Ratings are very generalised, they help to categorise a business overall but aren’t relied upon to provide the detailed information needed for relevant decision making criteria. Qualmark has been a source of dissatisfaction for many operators who either reluctantly sign up or boycott it altogether. I don’t think a new competitor for a rating system will help the industry or visitors at all..it will just add to the confusion. Qualmark is a source of [personal] dissatisfaction with us from 5 years of membership. So aghast were we, that we had a personal meeting with John Key (who was rather enlightened by the end of our talk!). First-up, how can an “assessment” company make a real (unbiased) “assessment” of a product by informing the owners when they will be carrying out the assessment? (Naturally dog-bones are cleaned up and staff are instructed to paint on happy smiles!!). Next, how is an assessment made if the assessor just sits in your office to look at the books without actually experiencing your product (and/or see/hear how you interact with your guests??). Your “score” is never displayed Publicly, that is; no one knows the difference between a business that “scrapes through” with a 61% score and another which has a 90% score…these 2 companies are branded “equal” by being Qualmark Endorsed (but are they??). Our business caters to 99.9% International clients, and we ask many if they are aware of Qualmark (showing them the logo as well). Very [very] few know it. And yet, when these concerns were voiced to Qualmark, these statistics were adamantly argued because [quote] “We interview travelers about Qualmark when they LEAVE New Zealand”…Surely, for promotion/marketing, visitors to NZ should know about this BEFORE they get to our country. International visitors are also very wary of “pay-to-belong” rating systems…this is why Tripadvisor (activities which are free to list) holds much weight, and is regarded so highly. New Zealand needs to strengthen the laws regarding Tourism, as still anyone can become a tourism operator. This is not how it is in many overseas countries, as one is required to be an actual citizen. It should be New Zealander’s showing/guiding about New Zealand! There are also no laws on Food Handling, Fire Alarms or traffic movements for the likes of Bed & Breakfasts. There are no Food Safety laws for tours providing food which has been brought from home to be consumed on a picnic lunch. There is no criteria as to what constitutes a “true” Eco-tour…(Is a company calling itself an “Eco-tour” traveling miles in an empty bus to a movie set, an Eco-tour?). More, what about “local” operation…there are no criteria for this either, as too with carbon offsets. So, should another Quality assessment system come into being, it is to be hoped that these factors be taken into consideration. New Zealand has a unique and delicate country and people, let’s harness this, and present “true” Quality. As an international visitor, I had heard very little about Qualmark before my trip to New Zealand in 2007 and since then, I’ve only paid attention because I pay attention. As it stands, the system lacks the transparency needed to make it a useful resource. I think we do need a rating system. We don’t need another one thats just confusing visitors. What we do need is a rating system that delivers to both the business and the visitor and the current one is not doing that. The last stat i saw was that 40 percent of visitors departed the country not knowing what Qualmark was. Couple that with the inconsistent experiences i have had with the same organisations on different visit and organisations with the same rating and its clear it needs work. Really at the guts of this issue is what is the place like and who can tell us the most accurately. I think those that have gone to a venue and experienced it first hand are the ones best to answer this. Not some chain that is fluffing someone else up. Social media is the future. Lets look at the difference between a rating and a grading system. A rating system is where customers’ rate your business, usually on a numerical scale out of 5, a grading system is where an expert evaluates your business and you get a star grading from 1 to 5 stars. Trip Adviser, is one of the most quoted rating systems and operates worldwide as a commercial business. Grading systems are owned publicly or privately and refer to a set of standards or criteria. In the USA for example, the criteria used by Mobil (who use diamonds) and the American Automobile Association (who use stars) is different and both are used to support publishing claims. There are advantages and disadvantages to both and this space is ever changing. Rating systems use only a few indicators, and the customer scores these indicators several days after their experience. The 5 point scale uses the description “excellent” as the top indicator and over 90% of business score between 3.8 and 4.8 out of 5. There is no proof of stay required although some systems now only use validated stays. The system can be manipulated through false entries and in a few instances the threat of posting a low score is used to gain price discounts from the business. Both systems give feedback to the business which is invaluable and often overlooked when evaluating these different systems. The rating system feedback is directly from the customer and the format is easy to understand. It may be more difficult for a business to direct their improvement efforts as the indicators are very general and the expectations are not known and can vary from customer to customer. The grading system provides more detailed feedback and effort can be specifically focused to obtain improvement. It can be used to support capital or service development plans and in some jurisdictions it helps businesses borrow from banks for investment purposes. Both systems also give customers different information. The rating system allows a customer to search for people that have similar needs and profiles and assimilate their feedback to act as a proxy for their own experience. This can assist greatly in the final decision on where to stay. A Grading system provides a quick overview of the business quality and also infers that other behind the scene aspects are at a similar level, thereby giving confidence about the safety and readiness of that business in the event of unexpected situations. I have assisted with the development of grading systems in Iceland, Sweden, The Philippines and Tonga and in all countries individual businesses tend to promote the system that gives them the “best” result, often the higher score. In reality it is the customer who decides what piece of information is most helpful and fits their needs for that particular visit. What they do want is a business that is improving and delivering what it promises, and each business will use information sources that fit their needs. It’s not about a rating or a grading…it’s about customer satisfaction at the end of the day and what you use to understand and deliver the world class experience that is right for you. Qualmark is a complete farce. I worked in a very popular tourist business which was eventually accredited with qualmark gold. All through this process a facade was put in place to hide the environmental and local impacts of the business… overloaded septic tank drainage field leaching into (5m) adjacent apparently pristine nat park river, burial of offal in similar area. With heavy rain the septic system would overflow across carpark and paths into a stream. Locals complained, but ridiculed by council which also turned blind eye to many ongoing consent infringements to keep the dollars flowing. Most of these issues are fixed now apart from the septic drainage, it’s a great place, all I’m saying is that during the long period of courting qualmark much was hidden.